Young adults from Pennsylvania Conference's Philadelphia Central Korean church (PKSDA) in Huntington Valley, the North American Division’s Adventist Christian Fellowship (ACF) and ANEW, a Mid-Atlantic Campus Ministries network, planned the event for fellowship and as a practical training opportunity that encouraged attendees to be a more active presence on their campuses. Participants learned about the Adventist prophetic identity and spent the afternoon and evening at Temple University, trying to connect with students on campus. Outreach efforts resulted in one student signing up for Bible studies and another who connected closely with a few mission trip participants. On Sabbath more than 70 young adults gathered for Sabbath School and church at PKSDA. Approximately 52 participated in outreach efforts on Sabbath afternoon, including an interactive activity with a Daniel 2 cardboard statue, singing groups, a spa activity and a love language survey. 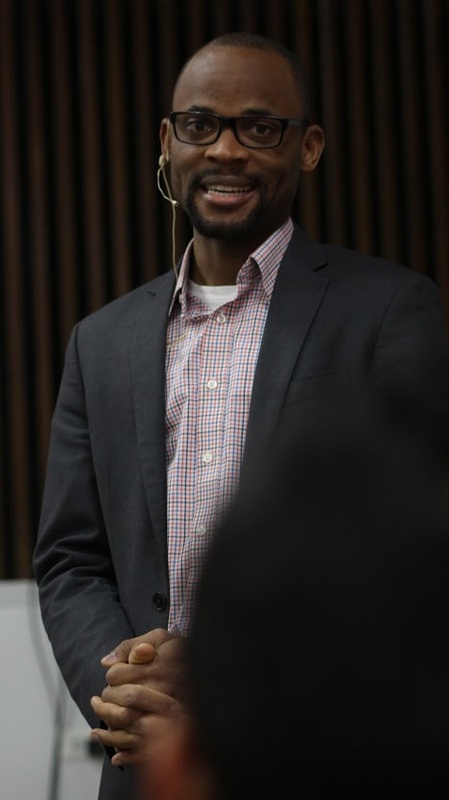 In the evening, speaker Jermaine Gayle (pictured right), program director for CAMPUS (Center for Adventist Ministry to Public University Students) in the Michigan Conference, made specific appeals for baptism, rebaptism and a commitment to missions, to which four individuals responded. On Sunday Gayle gave a final charge to the remaining participants to continue in their faith journeys and to pray and seek what they can do for their campuses back at home. “We believe that God greatly blessed this initiative in giving students a greater excitement and desire to be involved in campus ministries work,” says Michel Lee, one of the event organizers and a student at The University of Texas at Austin. Lay members from local churches and Adventist students attended this mission event and made critical connections that will advance the work of Adventist public Campus Ministries in Philadelphia. “Through their collaboration, it is certain that Adventist Campus Ministries can become an unstoppable, soul-winning agency on Philadelphia’s many college and university campuses,” says Lee. The Pennsylvania Conference, Columbia Union Conference and NAD sponsored the event. PKSDA provided free housing, transportation and food and prepared all the meals for the duration of the event.